Applebies are a species of ground-dwelling creatures that originate from the Wario Land series. They're introduced in Wario Land 3 and serve as relatively common enemies throughout the game. One member of the Appleby species also appears in Dr. Mario 64 as a playable character and a boss in story mode. They're usually found looking out of holes in either walls or the ground, which generally leaves their bodies partially obscured. In the instances their full body is visible (when knocked out of a hole), their lower body seems to end in a tail reminiscent of a snake, with no hind limbs. In each game incarnation, Applebies are associated with apples in some way, which is where they received their name from. 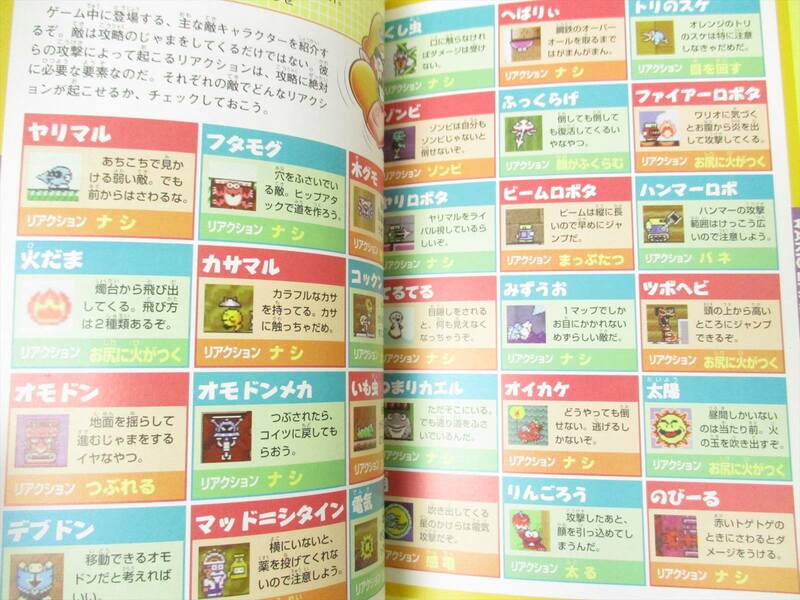 Various Applebies appear as enemies in this game. They're stationary enemies that pop out of the background from time to time and throw apples at Wario. If Applebies manage to hit him with one of their apples, it will cause him to morph into Fat Wario. Applebies can be defeated by a Dash Attack, a Ground Pound, or a thrown object while they are sticking their heads out of a wall. Applebies can also be temporarily stunned by bumping into them. Applebies are one of the two kinds of enemies in Wario Land 3 to be able to evoke the Fat status, the other one being Doughnuteers. A single male Appleby appears in Dr. Mario 64 as a playable character, as well as a Boss during Wario's story mode, although he isn't directly involved with the general plot. Appleby's initial appearance in the story shows him while holding a big, red apple over his head. To Appleby's dismay, Mad Scienstein bumps into him while fleeing from Dr. Mario and Wario. The collision knocks the apple out of Appleby's grasp and it becomes lost in the process. He wrongly assumes that Wario took the apple and proceeds to attack him, triggering a boss fight. The name Appleby bears a striking resemblance to Applebee's, a famous restaurant chain. This page was last edited on October 26, 2018, at 21:15.